Jordan Brand is not quite finished with the Air Jordan 1 OG Hi model for 2015. 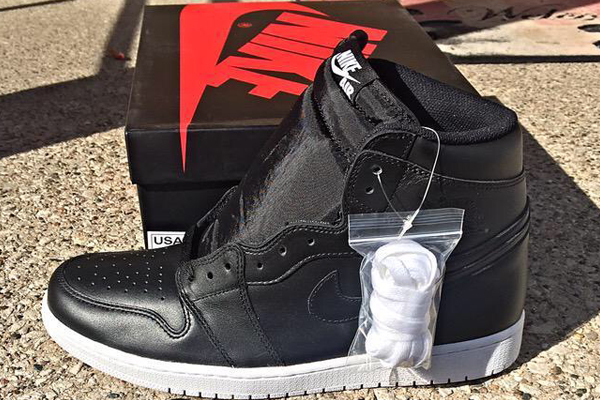 Today a "Black/White" Air Jordan 1 OG Hi was confirmed for Cyber Monday. The sneaker features an entire black leather upper, with a white sole, laces, and Nike Air branding on the tongue. The Air Jordan 1 OG Hi "Cyber Monday" has been confirmed for November 30th, 2015. Air Jordan 1 OG Hi "Cyber Monday"